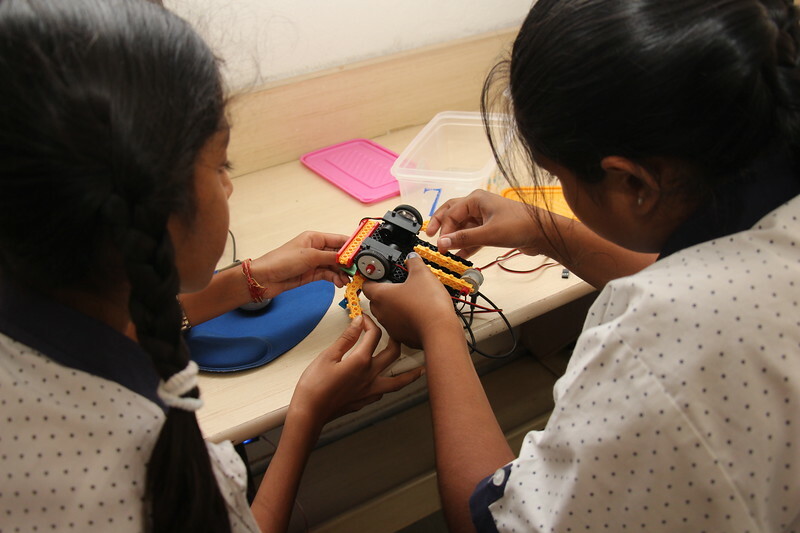 CHIREC offers Robotics as an integrated subject for Classes 6, 7 and 8. STEM (Science, Technology, Engineering and Mathematics) education is essential to preparing students for today`s world of non-stop innovation. Through the integrated Robotics curriculum, students will learn more than just programming. They will also cultivate skills such as leadership, teamwork and interacting with different technology platforms. Students of Classes 6 - 8 created Robo Transporter during Robotics class in July 2017. DC motors, that drive a robot, were programmed to move left, right, front or back. The students have also learned how to program a robot to complete a specific instruction with a predefined delay. The robot can also be set in a loop, with each instruction being repeated up to 100 times. The kit used to build the robot has multiple accessories and parts that need to be assembled to build a full-fledged robot. 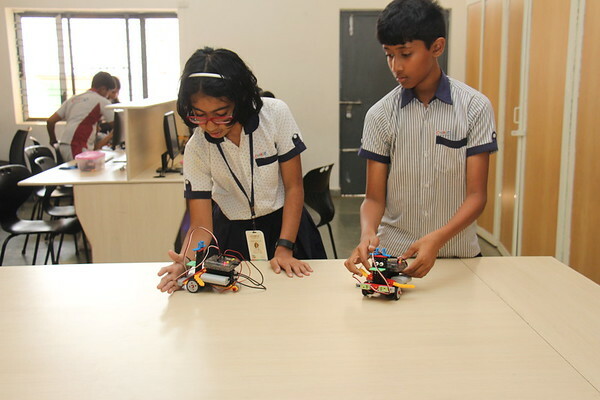 Students use the companion application Technokids to programme the robot in a specific way, but also have ample opportunities to program and build the robot as per their own requirements. Students of Grade 6 C developed an Edge Avoider robot in October 2017. This robot uses infrared sensors and moves continuously until it senses an edge or end of path. Once it reaches an edge, the robot will stop immediately, without falling off the edge. V.V.S. 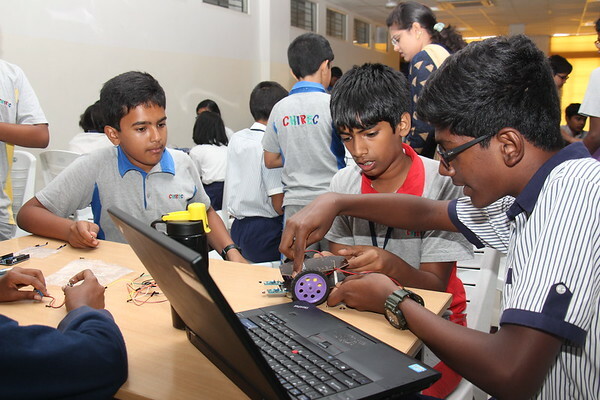 Sarvajit, Harshit Gupta, Gautam Ghattamaneni and Kalluri Sriyashas Mohan developed the Edge Avoider Robot. Students of Stage 7 B enhanced the Edge Avoider Robots that had been developed earlier. This enhanced robot, developed by Krishna Teja Somisetty and Tanav Koyyalamudi, uses infrared sensors to move along a path until it senses an edge or obstruction, which causes it to stop and move in the opposite direction, without falling off the edge. Students of Classes 6 to 8 assembled an Object Following Robot in November 2017. The main objective of the Object Follower Robot is to follow an object placed in front of it. The robot senses objects with the help of 2 Infrared sensors. The robot moves in the forward direction if the object is placed in front of both the sensors. It moves to the left if the object is placed in front of the left sensor only. The robot moves to the right if the object is placed in front of the right sensor only. The robot stops if it doesn`t sense any object.